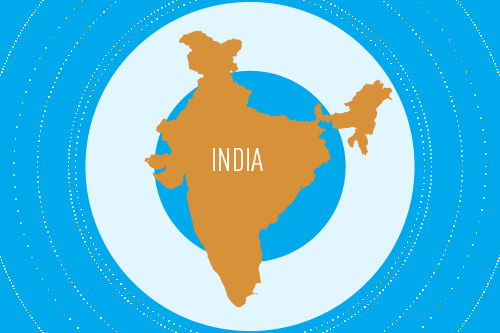 India is composed of 29 states and 7 union territories. Hindi and English are the country’s two official languages at the national level, with another 21 official languages at the state level. The Republic of India is a sovereign state in South Asia. As of August 2016, its population was 1.33 billion, covering an area of 3.29 million km². This makes India the largest country in South Asia, the second most populous country in the world and the seventh largest by area. The nation’s capital is New Delhi. India is a federation with a parliamentary system. The Prime Minister is Narendra Modi and the President is Pranab Mukherjee. India is bordered by Pakistan to the west, by China, Nepal and Bhutan to the northeast, and by Bangladesh and Myanmar to the east. In addition, India shares a sea border with the Maldives in the southwest, with Sri Lanka in the south and with Indonesia in the southeast. The disputed territory of Jammu and Kashmir shares a border with Afghanistan. India is viewed as the cradle of European civilization, and it is known for its numerous religions, its ideas of nonviolent resistance, and its unique film industry. Revenue in 2016 totaled $466.3 million. 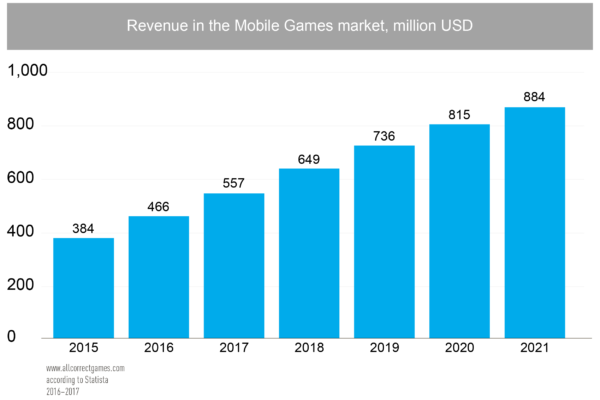 Estimates suggest that revenue will grow by 13.7% annually and reach $3.5 billion by 2021. 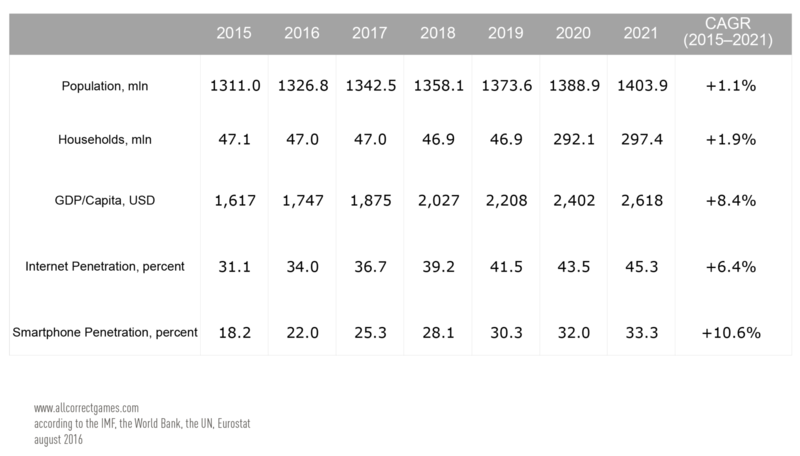 In 2016, 21.7% of Indians used mobile devices, and this is expected to grow to 34.7% by 2021. 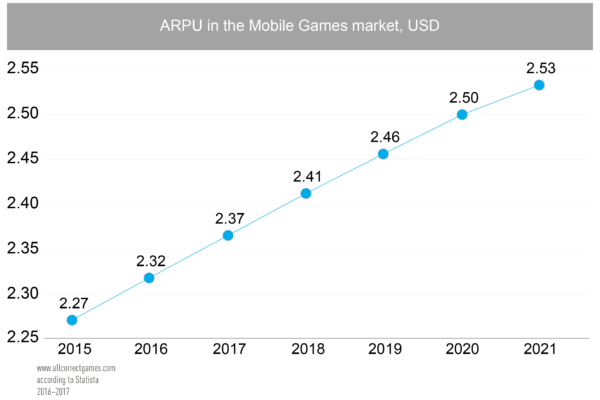 Average revenue per user (ARPU) – $2.32. Average CPI in India: for iOS – $0.94, for Android – $0.36. Most people in India first access the Internet via an inexpensive mobile phone. This same trend is observed in other Asian countries. In India, only 2% of the population has payment cards, so making payments on mobile platforms is fraught with difficulty. 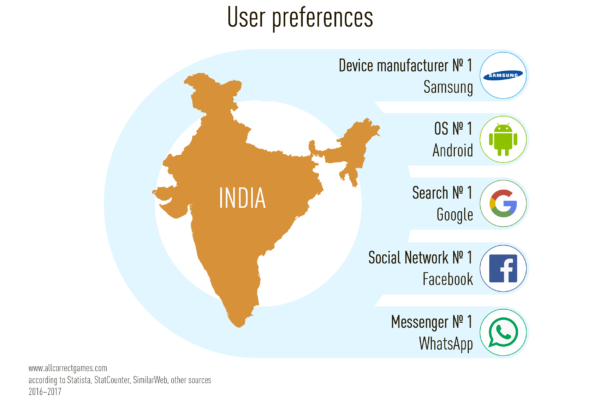 In India, Android is the top mobile operating system (76.67%), Facebook is the top social network (98.14%), Google is the leading search engine (93.45%) and WhatsApp is the preferred messenger. Samsung is the top mobile device manufacturer (27.38%). Interestingly, the second most popular smartphone brand is Micromax (8.79%). 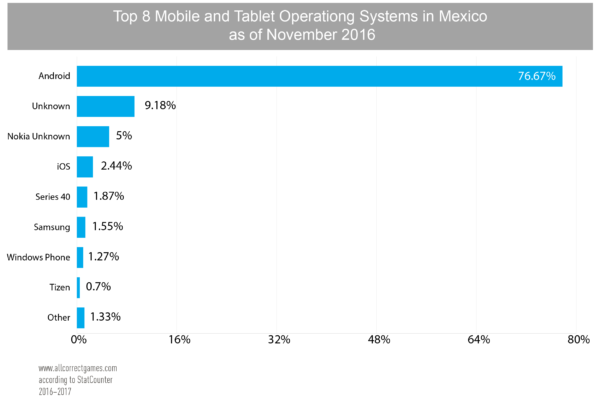 When it comes to tablets, Android takes 62.24% and iOS 32.59%. 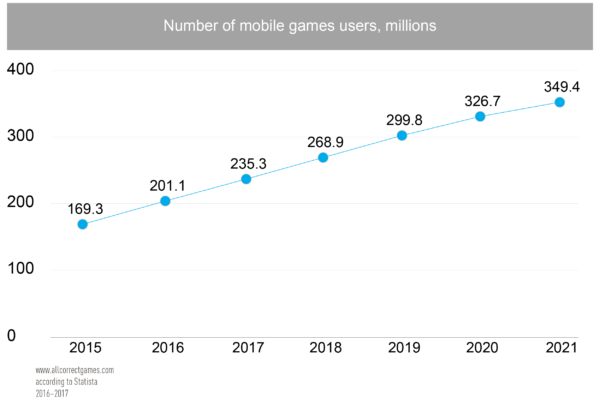 Who plays mobile games in India? 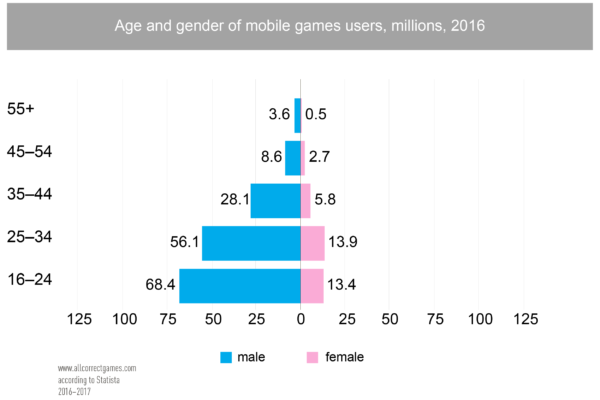 The top-grossing games charts (from App Annie and Think Gaming) show that Indian players enjoy games of chance and card games. They also love games like cricket. We also believe that games featuring Bollywood stars would also be hugely popular, but this has not been tested in practice yet. 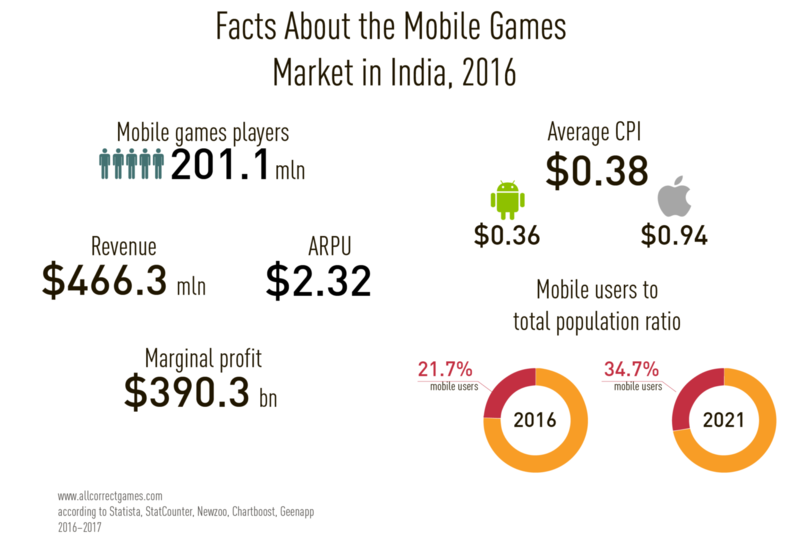 The top-earning Indian games companies (according to App Annie and Think Gaming) develop games based on Indian card games. English is one of India’s two official languages. It varies from region to region and is not the mother tongue of most Indian citizens. 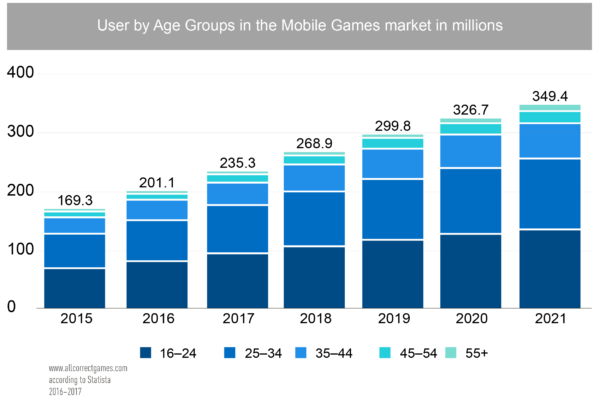 This means that, while some Indians may be able to play games in English, to draw a large audience to a game, localization into the local languages will be necessary. Hindi (650 million speakers, 2017) is an official language and covers India’s northern states.